A new study finds that women are becoming much more proactive about asking for divorce when they are not satisfied in a relationship. The study finds that women are more likely to initiate divorce than men. However, when it comes to heterosexual non-marital relationships, the picture is different. Both men and women are just as likely to initiate a breakup. 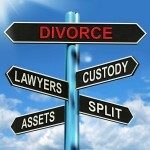 This is where a Leadville divorce lawyer can help. The study found that women initiated approximately 69% of divorces. The rate for men was 31%. The researchers believe that the divorce initiation rate is much higher in the case of women, because women are more sensitive to problems in the marriage, and are less likely to stay in a marriage that they find oppressive, or stifling. Women also seem to have much lower satisfaction levels in a marriage, compared to men. According to researchers, the findings point to one thing – women now find it much easier to assert themselves in a marriage. No longer do most women find that much pressure to stay in a stifling marriage, and with increasing economic independence, women feel much more confident about asking for divorce when they find themselves no longer happy with the relationship. For help filing for divorce, schedule a consultation with a Leadville family lawyer. Get answers to your questions about alimony, child custody, child support, and other aspects of a divorce by talking to a Leadville family lawyer.